Don’t let size fool you. Don’t be fooled by the name–CyBlock Mini Appliance is powerful, comprehensive, and worth every inch of its compactness. Maintaining visibility throughout your workforce is key to running a secure business today. Don’t settle on just any solution that really doesn’t meet your needs. If you need coverage for a remote office, have limited space either in your server room or in your office, or are struggling with how to keep your business secure with a limited IT budget, Wavecrest has more choices than ever. No matter what business size or industry type, CyBlock Mini Appliance is likely to be just what you have been looking for. The powerful Mini Appliance provides the comprehensive Web-use security capabilities of CyBlock, including HTTP and HTTPS URL filtering, comprehensive detailed reporting, secure guest Wi-Fi services with captive portal, advanced threat protection, bandwidth management, cloud services management, as well as coverage for non-HTTP activity, e.g., P2P, torrents, IM, and e-mail. Get all of this in one compact and economical package. The general size of a Wi-Fi hub, the Mini allows you to put it in the corner, on your desk, or in that tiny space you have left in your packed server room! As a cost-effective choice for any business type or size, the robust, yet compact Mini Appliance provides the leading-edge, comprehensive Web-use security capabilities of CyBlock. Designed to fit every business environment, the Mini Appliance can be paired with CyBlock Appliance or deployed on its own, depending on the required Web-use security solution needs. For more information on CyBlock Mini Appliance or any of our other products, please contact us today! Posted in Acceptable Use Policy, Bandwidth Issues, Control Internet Access, CyBlock, CyBlock Appliance, CyBlock Mini Appliance, Legal Liability, Security Threats | Comments Off on Don’t let size fool you. 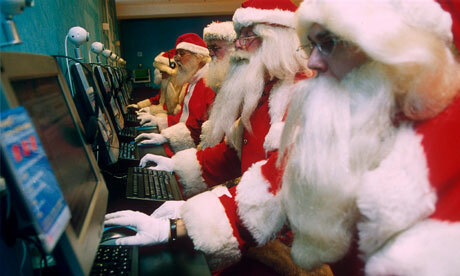 Are Santas taking over your network? Can you believe that it is almost the end of the year already? A lot has happened for us this year, and it seems to have made the year go even faster. No matter how fast or slow the year went for you, it is time for all of us to think of the holiday shopping season that is coming up. Every year, it is predicted that more and more of us will be using online shopping to get a good portion of our list taken care of. With time constraints in normal life, your employees are definitely going to sneak in some shopping on their work devices, clogging up your network bandwidth with nonessential traffic–and it probably won’t just be on Cyber Monday! Don’t experience additional holiday stress. Go ahead and allow your employees a bit of freedom to do some surfing to find the right toy, tie, or TV for their loved ones. But also give yourself, your IT department, and your whole business the gift of knowing your mission-critical business operations come first, with the bandwidth management, filtering, and reporting tools in our CyBlock Employee Web-use Security Solution. Uncover Web activity that can cause network slowdowns. Spot spikes that could indicate excessive data use. Identify which categories have the most visits triggering high bandwidth usage. Pinpoint which bandwidth-intensive sites are being visited, hogging enterprise bandwidth, and potentially posing security risks. Automatically throttle nonessential traffic by content category or group. Stay informed with triggered alerts and real-time monitoring. Limit the time users are online by the hour and day of the week. Identify risk, and analyze usage of your network resources. Cover your main office, remote users, and branch offices. Get complete, accurate, actionable, & compliance-ready reports. Find ways to satisfy all your business and employee needs. Give your employees the gift of online shopping time during this holiday season, while making sure your IT team receives the gift of proactively throttling bandwidth for noncritical applications, getting alerts, and gaining visibility into bandwidth hogs. Celebrating 20 years in business, Wavecrest Computing, headquartered in historic downtown Melbourne, FL, has provided commercial business and government clients with reliable, accurate Web-use management and Cloud Access Security Broker products since 1996. Managed Service Providers, IT specialists, HR professionals, and business managers trust Wavecrest’s Cyfin and CyBlock products to manage employee Internet usage — managing cloud and guest Wi-Fi services, reducing liability risks, improving productivity, saving bandwidth, and controlling costs. Wavecrest has clients worldwide, including General Electric, Lockheed Martin, Florida Department of Health, Siemens, Department of Homeland Security, and a growing list of global enterprises and government agencies. We are a proud long-term GSA contract holder. For more information on the company, products, and partners, visit https://www.wavecrest.net. 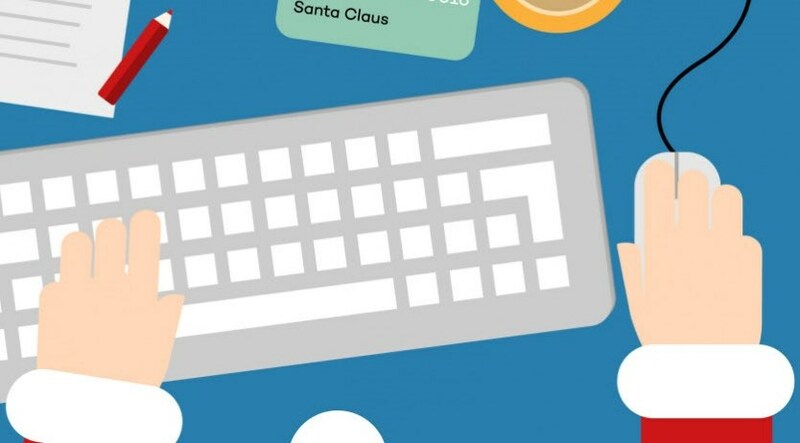 Posted in Acceptable Use Policy, Bandwidth Issues, Productivity Concerns, Wave News | Comments Off on Are Santas taking over your network? Offering guest Wi-Fi is expected. Securing your guest Wi-Fi is required. The family vacation–everything is packed. One suitcase for each family member, and one suitcase for all the devices! Of course your hotel offers guest Wi-Fi! In the hospitality industry, offering guests Wi-Fi access has become expected. In fact, Hotel Chatter reported 94% of people cite Wi-Fi as the most important amenity, and 38% of those say no Wi-Fi is a deal-breaker and will book elsewhere! Unfortunately, what happens on your guest Wi-Fi network can put your whole enterprise at risk, including all your other guests. A lagging Internet connection issue can frustrate and damage your relationship with customers, situations such as compliance issues or legal liabilities can damage your brand, and data loss due to malware from the guest network can cause enormous headaches from losing guests’ trust to financial damages and lawsuits. Secure guests’ Web usage while on your network, no matter what device they are using. Filter inappropriate or legal liability sites. Run informative reports on their HTTP and HTTPS traffic. Track and throttle bandwidth usage, and more. All of this, without any noticeable delay in your guests’ Web browsing or work! CyBlock Appliance is advanced threat protection hardware that includes tools to manage guest Wi-Fi, reduce the risk of Web-borne threats such as malware and ransomware, avoid bandwidth slowdown, and more. Celebrating 20 years in business, Wavecrest Computing, headquartered in historic downtown Melbourne, FL, has provided commercial business and government clients with reliable, accurate Web-use management and Cloud Access Security Broker products since 1996. Managed Service Providers, IT specialists, HR professionals, and business managers trust Wavecrest’s Cyfin and CyBlock products to manage employee Internet usage — managing cloud services, reducing liability risks, improving productivity, saving bandwidth, and controlling costs. Wavecrest has clients worldwide, including General Electric, Lockheed Martin, Florida Department of Health, Siemens, Department of Homeland Security, and a growing list of global enterprises and government agencies. We are a proud long-term GSA contract holder. For more information on the company, products, and partners, visit http://www.wavecrest.net. Posted in Acceptable Use Policy, Control Internet Access, CyBlock Appliance, New Releases, Wave News | Comments Off on Offering guest Wi-Fi is expected. Securing your guest Wi-Fi is required. Your Employees and Their 917 Different Cloud Apps. Are You a Sitting Duck? Every day someone in your company is using a cloud app. Actually, it is probably more like every minute. Let’s not go into the personal versus work devices on the company network, or whether it is Facebook or Dropbox they are using. Those details don’t really tend to matter when the access allowed is for your own business to decide. It is about the sheer number of cloud services and apps in use in the enterprise today, the visibility in knowing what they are, and the many employees who are left out of the conversation. We hear managers talk about how it can’t happen to them. They have the best employees, and the discussion is unnecessary. It is already understood–they would NEVER do that! Or our favorite–big brother–the need to let your employees know you really trust them and respect their privacy by allowing them to do what they think they need to do on their own. But that’s not going to protect your business when malware hits or a breach happens . . . and the chances of these happening to you are growing exponentially every day, especially when you are not communicating security issues with your employees. With all the headlines being about Shadow IT, malware, data loss, intrusions, and ransomware, you would think it would be a common workplace discussion. But based on some recent surveys, companies aren’t saying much internally. Have not been told how to transfer and store corporate data securely: over 40% !!!! To keep things in perspective–studies are showing that on average, enterprises have 917 different cloud apps in use! This is not a respect for privacy issue. It’s a security issue, for your business and for your employees! Keeping them in the dark does not show them respect or protect them, it makes them victims before anything even happens. As technology gets stronger, we as individuals have more decisions on what we use to make our lives, including work, more efficient. 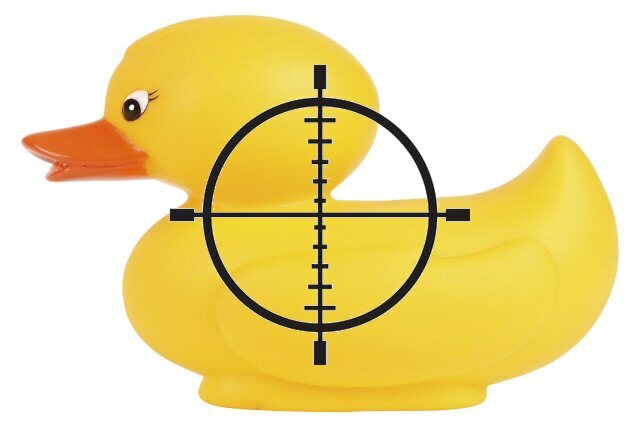 But if you do not educate and communicate regularly about cyber threats with your employees, have real visibility into their Web usage, or have a clear, agile Acceptable Use Policy (AUP), you are basically a sitting duck. *Stats based on surveys from Softchoice and Netskope. Posted in Acceptable Use Policy, CyBlock, CyBlock Cloud, Industry News, web-use management | Comments Off on Your Employees and Their 917 Different Cloud Apps. Are You a Sitting Duck? Once again, it is time for some basketball! Every year at this time, bandwidth hogs, productivity losses, and malware catch our eye. But the business world has become more accepting of personal device use and personal time on corporate devices. It is up to each business to design an Acceptable Use Policy (AUP) that works for them. 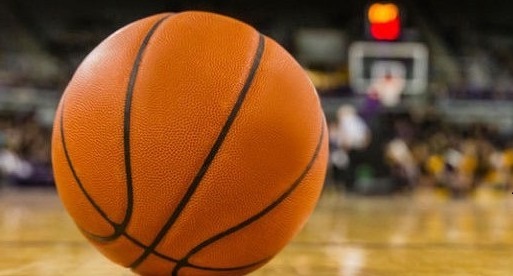 So as this year brings on the games we wait all year to watch, taking a look at what we should expect for March Madness viewing numbers and working in some refresher employee training are key to making it through the season. 2015 set all-time records with 80.7 million live video streams and 17.8 million hours of live video consumption. Record-setting live video streams were up 17 percent over 2014, with hours of live video consumption up 19 percent vs. 2014. Mobile consumption also surged with live video streams and hours of live video consumption both up 20 percent over 2014. Now is the time to prepare for even higher amounts of viewing this year. Whether game watching at work is acceptable at your company or not, your business still needs to function smoothly. Make sure you have bandwidth management in place and be proactive on the distribution of these resources. Set bandwidth usage thresholds so that game watching does not freeze up mission-critical operations. If you don’t have a bandwidth management solution in place that allows you to set multiple thresholds with alerts, it should be something to seriously consider. Even during normal business days, you can have bandwidth hog issues that could affect critical business operations. Malware tends to spike during March Madness as well. Random clicking can be devastating to your business. Make sure you have protections in place. Refresh your employees on your current AUP, remind them about phishing techniques and ads that are almost too enticing not to click, and be proactive by having a comprehensive solution in place that blocks access to malicious URLs. Prepare to secure and protect your network and mission-critical operations before the games begin, and March Madness season will be enjoyable for everyone! Posted in Acceptable Use Policy, Bandwidth Issues, CyBlock, Cyfin, Productivity Concerns | Comments Off on Let the games begin! Since the holidays are about good cheer, don’t be a grinch this year! The holiday shopping season is fast approaching once again. Every year, more and more people use online shopping for the majority of their purchases. Is your business ready for the online shopping that your employees will likely do during business hours? Is your bandwidth ready to make sure your mission-critical applications take priority? Cyber Monday will come up faster than you think, but that is only one day of online shopping. Cyber Monday 2014 ranked as the heaviest online buying day that year with $2.038 billion in desktop spending, but the day after Cyber Monday wasn’t far behind, ranking second for the season at $1.796 billion. It doesn’t even stop there! On the second Monday in December (Green Monday), online buying was $1.615 billion! These are all regular business days! And each year the amount of time and money spent online shopping increases! The whole season is about shopping for those important to us, and employees are going to try to get online to grab the best deals no matter what day, or time of day, it is. Since the holidays are about good cheer, don’t be a grinch this year. Find ways to satisfy all your business and employee needs. Give your employees the gift of online shopping time during this holiday season, while making sure your IT team receives the gift of proactively throttling bandwidth for noncritical applications when needed. 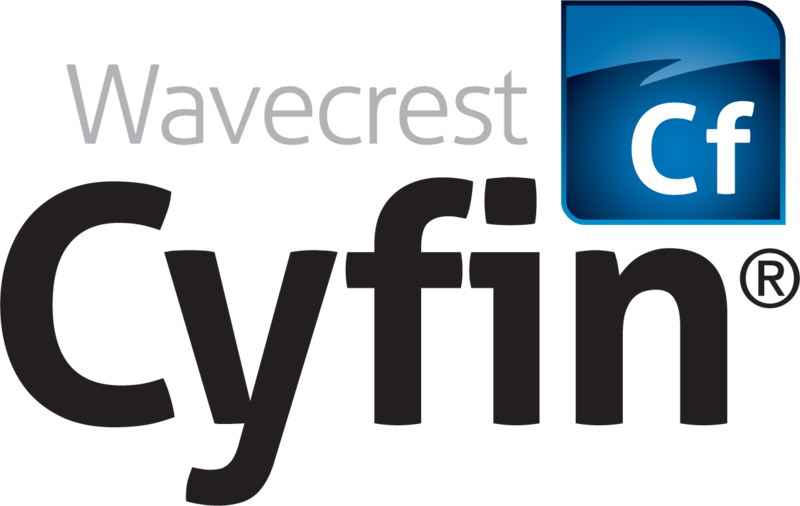 Wavecrest Computing has been the recognized leader in Web Security for over 19 years with CyBlock and Cyfin Solutions. These scalable filtering and forensic reporting analysis products are designed to enable organizations to successfully address Internet abuse, legal liability, shadow IT, workforce productivity, and Web security threats. FREE bandwidth audit available! Posted in Acceptable Use Policy, Industry News | Comments Off on Since the holidays are about good cheer, don’t be a grinch this year! Wavecrest, the leader in Web security, and Check Point have announced a partnership. Wavecrest Computing, a leading global provider of advanced Web security solutions, and Check Point Software Technologies have announced a technology partnership. Posted in Cyfin, Industry News, Wave News, web-use management | Comments Off on Wavecrest, the leader in Web security, and Check Point have announced a partnership. Can you see your enterprise shadow IT? There are several views for this, all valuable. From the employees’ view, they believe they are finding ways to be more productive and efficient by using technology that is easily accessible and likely, not costing the corporation anything additional. It is quick and easy and can get the job done before the IT department would even have a chance to look at a request form. So, why would the corporation be upset? Here’s why–unauthorized applications, or shadow IT, can cause serious risks, such as Malware, data loss, and other severe network security concerns. As the responsible party, IT needs to know what is happening, especially when it comes to the random unauthorized applications users are bringing into the network. What can be done? Which view holds more importance? That depends on your organization but gathering the information to make that decision can be quick and easy. 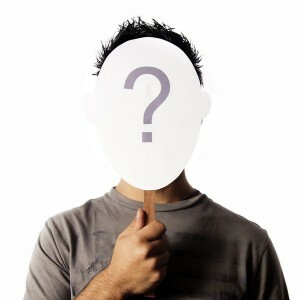 You need total visibility into Web use so you can find and analyze any potential shadow IT. Proactive, comprehensive reporting of all Web-use activity allows a full view of users’ activities. 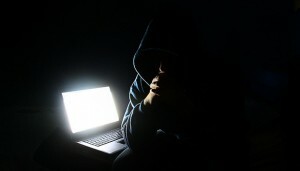 IT and management need to see detailed drill-down activity per user, per group, or per category, and determine if the “shadow” application is to be quarantined, or discover the application is actually useful to the organization as a whole and add to the acceptable applications list. It is important to take into consideration the employees’ need to have access to useful and contemporary tools. No post, article, or news story can tell you what to do within your organization. Only you know what will best suit your environment. Try collaboration though, between users, management, and IT. The key is to find the most useful applications and move toward applications that work, with the best interest of the overall corporation at heart. Wavecrest Computing has been the recognized leader in Web Security for over 19 years with CyBlock and Cyfin Solutions. These scalable filtering and forensic reporting analysis products are designed to enable organizations to successfully address Internet abuse, legal liability, shadow IT, workforce productivity, and Web security threats. Posted in Acceptable Use Policy, Industry News, Legal Liability, Security Threats | Comments Off on Can you see your enterprise shadow IT? 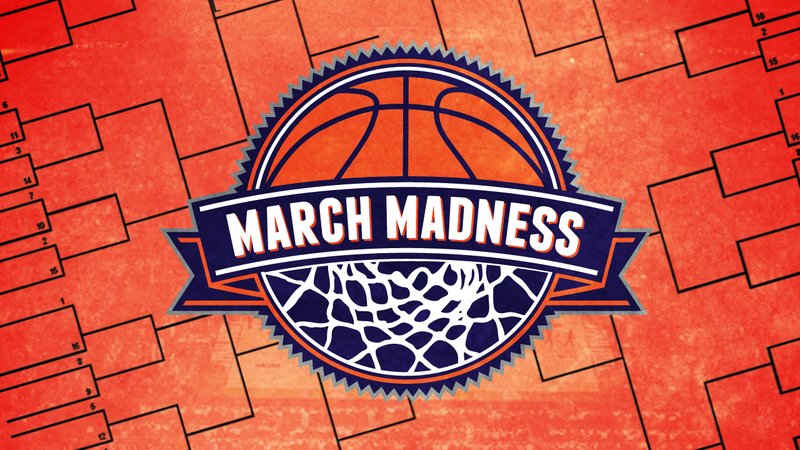 Into the Madness of March…brackets, bandwidth, malware, and all. March Madness begins on March 17th this year. We all know that employees check out highlights or even stream a whole game. According to Turner Sports’ Will Funk’s interview with AdWeek,Turner did 70 million live streams on broadband and mobile during March Madness 2014. That is a lot of streaming. With all the streaming and new apps that are out since last year, 2015 will likely set another record. This year, have the choice to allow your employees some freedom to watch and enjoy! CyBlock Web Security Solutions will help protect your business, blocking sites known for malware and proactively controlling bandwidth consumption, while allowing responsible viewing. With Wavecrest’s Bandwidth Management in CyBlock, there are numerous ways to be able to control access when you need to. With Real-Time Data Usage Monitoring, you will be able to easily view current data usage for the entire enterprise, detect unexpected spikes that could indicate excessive data use, or just observe the last 5, 10, or 15 minutes of real-time updates. You can also make sure the critical business operations remain functioning efficiently, even during the games, by using the Bandwidth Throttling features. Be more restrictive as the noncritical usage gets higher by setting one of the automatically triggered, higher-usage policy thresholds to throttle more or even block. E-mail alerts will keep you informed wherever you are. Once a policy is activated, policy-specific traffic is throttled or blocked, allowing business-critical applications (VoIP, CRM, etc.) to continue operating as needed. Don’t forget about protecting your company from malware. March Madness search results have had a history of being known for malware in past years, and this year will likely be no different. As your employees search for brackets or results, CyBlock blocks traffic to the constantly growing number of sites that generate and/or promote malware. Keep out viruses, Trojan horses, phishing attacks, and more. March Madness has become a way of life. Decide how your company will handle the traffic and proactively prepare for it by letting CyBlock help protect and secure your business and your employees. Find out more about all the Web Security product lines at Wavecrest Computing. Posted in Acceptable Use Policy, Bandwidth Issues, Control Internet Access, Industry News, Malware, Productivity Concerns | Comments Off on Into the Madness of March…brackets, bandwidth, malware, and all. When a company implements Web filtering and monitoring software, it typically wants to filter and monitor the Web traffic flowing through its network by user name versus IP address for various reasons. Some of these reasons include curtailing casual surfing, protecting against security threats, and conserving bandwidth. Furthermore, a company’s Acceptable Use Policy (AUP) is usually based on user names and/or groups of user names. Therefore, the application that enforces and monitors the company’s AUP needs to identify Web activity by user name. IP addresses can be dynamic, and sometimes more than one employee can log on to a computer, and hence, more than one user name will be using the same IP address. Depending on the company’s preference, one proxy configuration option may be more favorable than the other. Here, we will discuss applying browser settings manually, pushing out group policies using Active Directory (AD), using a captive portal, and installing client software. We will also touch on the different ways that you can authenticate your Internet users using our CyBlock products. You are currently browsing the archives for the Acceptable Use Policy category.